follow up a little too heavy. felt a bit bombarded by messages before I had a chance to review their response. "Good for connecting with people in office"
Ease of use of all features. Customer service is always helpful if I have any questions also. Nothing to dislike. The phone and my services meet all of my business needs. They are easier to use than Ooma and the price is great also. I would highly recommend the services. Fax via the computer. Professional incoming call handling with many options for the caller to use. I can’t think of anything. What are you talking about? They take a little more of what we expected to solve problems, but they do it at the end. Keep Improving, get a desktop app. Web interface should be a little bit more attractive to regular users, but it's pretty good so far. We've had very little issues with the phones in general; they're very user friendly. The few times I have contacted tech support, I've received a very quick response. The website is a little complicated for what it is. It could be more simple and easier to navigate. Less troubleshooting. One less thing to worry about throughout the day. "Jive - Simple, Reliable, & Feature Rich"
The simplicity of Jive is one of it's best features. It's also jam packed with features and extremely reliable. We use Jive as our exclusive VOIP service for all of our clients. The only thing I've had issues with is the intercom feature. It's a bit of a hassle to set up. Make sure you know which features you want ahead of time so you can implement them right away. We are using it to replace old PBX systems and our customers are very happy! They enjoy all of the features and the reliability. Jive allows us to use our cell phone as an office phone through the app. This eliminates the need to give out personal cell numbers. If the Internet is down, the phones are down. Other than that, we love the system. Reduced telecom expense. Ease of administration of the phone system. "Quit Looking at the Cell Phone!" Simple user interface and I don't ever need to look at my cell phone while at work. While everything works well with Jive, it feels a bit outdated or clunky. Maybe update the graphic design. The features are limited but the user interface is so easy to use. I am a student success coach, and with Jive, I get to engage with students who otherwise would not respond. I like that I have all my messages in one spot, neatly organized, with first and last name, and it's quick and easy. There is really nothing I really dislike.. The service is wonderful and serves it's purpose. Navigating through voicemails is much easier on my smartphone rather than office phone. Office phones, even the fancy ones are pretty antiquated now. Jive allows our users to stay connected wherever they are. This improved efficiency and by extension saves money. How efficiently problems are handled when they arise - great follow-through. Wait time for the Jive support team - way too long. Expect a long wait time when calling their Jive Support Team - very helpful once you get someone but, it takes a long time to wait to get a support tech on the line. Online portal is easy to use and their customer service is great. Sometimes representatives don't know the answer to your question. They provide all our phone services. Easy portal access to change call plans and update regular/holiday schedule. Reliable on-the-go access to voicemail/calls/text. Frequent outages prevent us from communicating with our clients. Be aware that you may not receive notice when you are switched from previous carrier to Jive... one day we just did not have service and needed cables and setup on the fly. Our advisors are always on the go. It is wonderful to be able to transfer a call from the office to the advisor on the road, so they never miss an opportunity to connect with a client. "Perfect for our small business!" The practicality of the app, the level of control the office has, and the support that Jive provides. Issues includes app reboot issues and transferring calls sometimes can be a problem. 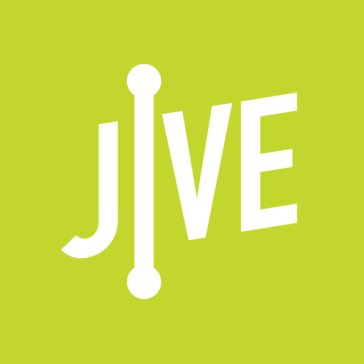 Jive is very easy to use and a great tool if you deal with snow days or telecommunication. Working remotely with Jive allows us to take member calls even when we are snowed in a cannot get to the office. We can set it up from our phones and it is a huge advantage, especially if we are waiting on payment calls. It means that we are not loosing money by not being in the office. "Not tech savvy andtech people are patient and fantastic. Cannot overemphasize the patient part"
Technical support. I have called numerous times which seemingly basic questions and tech support has spent hours on the phone with me responding to my satisfaction. Very pleased with technical support. I have had calls drop during a tech session and the tech ALWAYS reaches back out and stays with me until we find a solution. Hold times for assistance are too long for a tech savvy company. Hold times are also too long for when you want to add a service. I would prefer not to wait for tech service but waiting to spend money is just not an acceptable way to run a business. Easy to implement, great technical support, web portal is fairly easy to navigate. I am a basic user of jive - just want a phone that works consistently with limited features. I do not take advantage of any business solutions other than phone, fax and conference calls. I would consider doing more but it would need to be with technical support and initiated by Jive. Best VoIP service there is! I love all the features you can do with Jive like custom extensions, custom hold music and more like call recording which has helped my business greatly! I love all the phones they have especially the Cisco 8841 which I use on a daily basis! I would definitely recommend Jive to anyone who is looking for a VoIP service for their business! The only thing I dislike is that it is a little on the pricey side! But I was able to talk to them and they were able to change the plan I have with them so that my monthly bill did get a little cheaper! I love that I can have the call recording which has helped my business out but also I love that I can have the service forward to my cellphone when I am not at the office it will ring my desk phones and my cellphone at the same time. "Every time something comes up, the problem is fixed asap"
Customer Service is great, also the text feature for business. Sometimes we ghost calls that wont stop coming in. Phones, Text - Patients will communicate through text easier than phone calls. Customer Service is very, very helpful and super courteous and patient. Really... nothing! They are fantastic. I have called a few times throughout the year and they are always the same! Helpful and courteous!! Desk top communication and follow-me features are perfect. We have total control and access to our system. cant think of anything at this time, we really do enjoy the services! We can access from anywhere! So no need to only be in office. They Respond right away to service requests. I don't like the phone system itself. Not very user friendly. It's doing ok for business purposes for now. Jive's customer service is the best around. "Great features, Great Service, Great price"
I moved from Ring Central to Jive primarily because Ring Central is way to expensive. Jive has all the same features and beter customer service. I’d rather the fax interface was not done through email. Great phone and fax service. "Horrible Customer Support & Deceptive Sales"
Can't think of anything at this time. Have not had any positive experiences. Horrible Customer Support & Deceptive Sales. Signed up for Jive & GoToMeeting in Sept 2018, as of Feb 2019, still can't get access to GoToMeeting. Each party states it is the others responsibility. Customer Service refused to give me a supervisor, 2nd rep transferred back to auto attendant and other company. Would like service I paid for. When requesting a supervisor I get one. "Sorry we had to leave"
Jive did a great job at what we need (forwarding calls from virtual phone number to individual's cell phones). The texting was not a great part of that, but they were working on that. We just had to quit using it because our company made it difficult to pay the bill. Like I said, the texting wasn't that great (it was in Beta), but I did appreciate that they were working to make it better. Thisa very good service. Texting ability was not as good as we would like, but they are working on that. Overall connectivity is fine and can be used with slow internet connection as well. Customer support line takes an hour to connect. I am able to make and receive phone calls on the go. I love the portal and how easy it is to set up the dial plans. I would like an online chat feature if I need help with something. Adding phones should not be super expensive. We had 1 very basic office phone. We now have 8 phones and 2 different location all using Jive! "Excelent! Awesome tech support. Great pricing!" Excelent! Awesome tech support. Great pricing! Can't think of anything. Can't think of anything. I was forced in to a situation which required reducing business overhead. Jive cut my costs by nearly $200 month. "Lots of options but unreliable and support is awful"
The configuration tool is amazing and works like very nice on-premise phone systems. Things don't always work (e.g. faxes receivers fail and then start working again, website constantly has issues, etc.). Support is slow and unhelpful. It takes multiple days to respond to outages and usually the problem fixes itself or they do something and don't admit something was broken. Most of the responses from support are kick the can down the road sort of responses. Enterprise configurable phone solution that is cloud-based was the goal. We have achieved that but the solution isn't as stable as we expected. "Simple to Use, and Easy to Set Up"
I love the dial plans, and also how easy it is to assign numbers to users and transfer calls around. The jive app could be better. Every now and then it freezes up and has to be uninstalled and reinstalled. Not a horrifically big deal, but it can be irritating. It is getting better though. Every time they do an update, the stability of the app improves. Internal communications. We can assign numbers around, and our PM's don't have to give out their personal line. "Good dependable service with many options for programming"
The fact that you can set up your system the way you want the calls routed, forwarded, captured etc. One of the coolest features is that I have the JIVE app on my phone and all calls come through my phone when away from the office. That way I can dial out from my cell phone but the clients see the business phone number as the number I am calling from. At first the programming is a little confusing until you understand the logic and then it makes complete sense. But the customer service is great for helping your work through what you are trying to do. Low cost phone service with options and reliability. "Best Phone and Fax service I've had by far!" I like how they pick up the phone quick when I am running into a problem and they help guide me through the process. Also the fax service is great! I like how i can receive incoming fax through my email. Works really well when I am not in the office. I don't like how sometimes during a call the person on the other line cannot hear me very well or I cannot hear them. I do not know why that happens but it can be irritating. I would highly recommend, good quality and better service. In my business we work mostly making phone calls so having a good phone service provider is really important. Wonderful customer service - always there to help! The website is not always user friendly, but once you figure it out it's not too hard. Great way to organize phone lines & directory within a business. "best VoIP service period. " I wish there was more support to sync our CRM with our VoIP service to automate things like identifying current customers, or screen pop on with tracking on inbound calls from call queues. ability to run a small call center with the big box tools at an affordable price.